In recent years, the grandiose rhetoric of David Cameron’s speeches, acting more as a public relations ambassador to corporations than for his own citizens has dwindled in the face of more important issues to the people, namely immigration and a refugee crisis. And for all of Cameron’s bragging of a new deal the EU is not about to change universal treaties to accommodate Britain in some sort of two tier system. The EU’s imperial heart is not planted in democracy and it never will be. Anything Cameron has negotiated are nothing but mere words, to be over-ridden at will by an authoritarian judiciary in Brussels at a later date when convenient. Like the Scottish referendum, Cameron is resorting to a fear campaign out of desperation. It will include politicians, corporations, business leaders, celebrities and even the new menace threatening our democracy – the military. Cameron’s team has already planned and is now executing a campaign of fear far greater than the Scottish referendum but will ensure it won’t emanate from No10 to ensure his image is not tarnished as the noble champion of Britain. America is worried that its 1950’s plan for a united Europe to economically conquer will fall apart and they have every intention of influencing British voters to do the right thing – in America’s interests. Many stories will emanate from the international bully boy. The Obama administration has already weighed in. It has threatened to exclude Britain from trade deals and influential global decisions. So worried is America that the Obama administration is threatening the UK by dissolving its so-called “special relationship” with Britain. The fear campaign asserts that staying is safer than leaving as the propaganda machine gets into high gear. BBC –Brexit will make it ‘harder’ for UK to fight terrorism. Fighting crime and terrorism in the UK would be more costly and “much less effective” if the country leaves the European Union, the director of the EU’s police agency Europol has told BBC. But the fear campaign has gone dark as The Telegraph reports British Military leaders to warn against a Brexit. In a dangerous escalation in the demise of democracy in Britain, Downing Street is organising a letter from military leaders warning voters not to leave the EU at a time of Russian aggression and rising Islamic extremism. “Generals would not ‘allow a prime minister (assuming Corbyn was elected) to jeopardise the security of the UK. There would be mass resignations at all levels and you would face the very real prospect of an event which would effectively be a mutiny.” A single maverick ageing retired rogue? No, not one single general or politician asked for the identity of this unnamed general to be made public as his threat was actually an act inciting treason. ““It is not scaremongering to ask which result Putin would favour. If we left, the European Union for the first time in its history would be smaller and weaker. That’s obviously in Russia’s interests. The challenges of Russian aggression and international terrorism are global and transnational and Britain “cannot afford” to be alone” he warns. The Prime Minister and George Osborne have already warned British voters not to take a “leap in the dark” by voting to leave the EU, highlighting the national and economic security cases for staying. Not much has been said about NATO …yet. 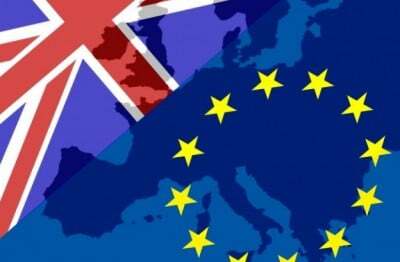 If Britain exits the EU it will become an independent nation, it will need an independent foreign and security policy. This is not to America’s liking.